You’re here because you want to make stunning, interactive and professional dashboards with Excel. You’re at the right place. 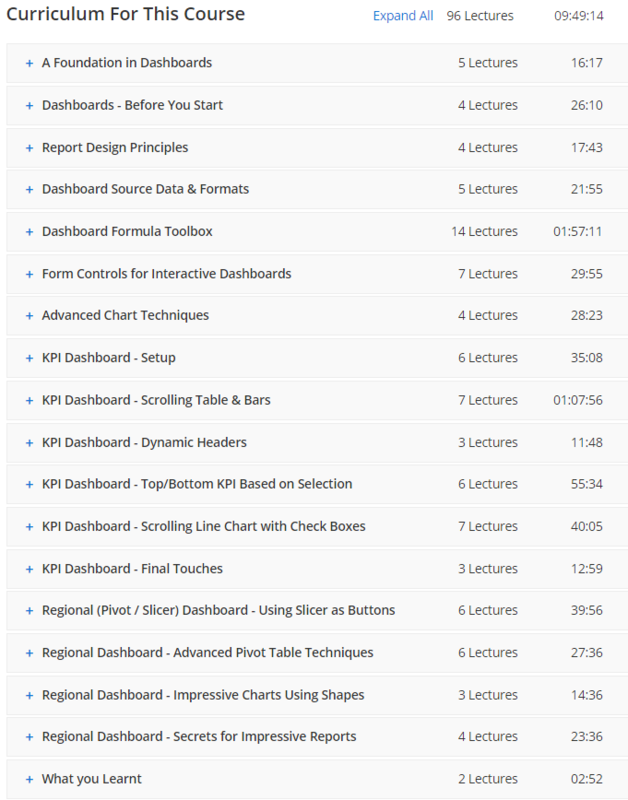 I am recommending the best Excel dashboard courses here. I have checked these courses personally (enrolled) and they are of high values and I recommend you to enroll these courses. #Visually Effective Excel Dashboards – NEW! This Excel Dashboard course is created by Leila Gharani. 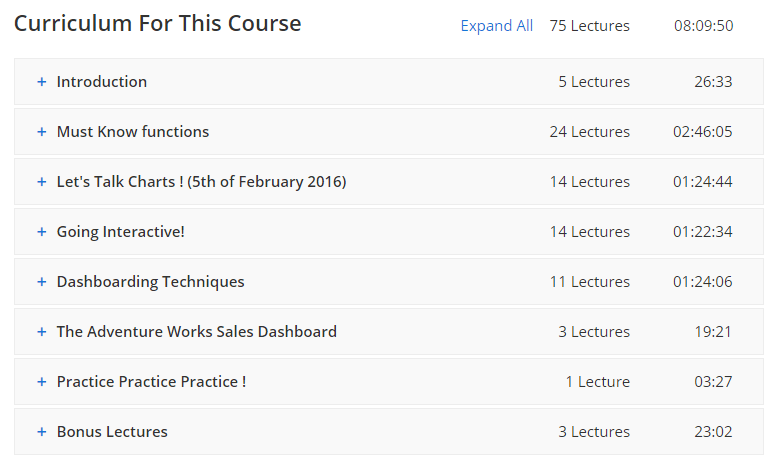 She runs 4 courses at Udemy and all are performing very good. Without any confusion enroll into this course! I guarantee your satisfaction. I promote very few courses from top instructors and she is one them. Buy Visually Effective Excel Dashboards – NEW! This course is run by Abdelrahman Abdou who has 5 years of experience in building numerous Excel Dashboards. He worked in Vodafone International Services (Egypt) for 3 years. Learning to build Excel Dashboards will make you stand out from your colleagues at work. You will be perceived as the EXCEL GURU in the office, and your value will significantly increase, both in the market and in your company. This Excel dashboard course will walk you through all the necessary steps that you need to build a professional looking Excel dashboards. You will start by learning the necessary functions that you need to know, and you will even unlock more potential for the functions that you thought you already knew well in Excel, and you will get several “Aha! That’s how I do it!” moments while watching the course! Able to make dashboard in Excel is a lifetime valuable skill for you. It will alleviate your level of expertise with Excel and eventually your company will respect your new skills with a higher salary. If you know how to use Excel’s general functions and a little bit VBA, it is not a daunting task to be Excel Dashboard Wizard. I mean it. Take this course without any hesitation as I enrolled this course. It is really a valuable resource to build Excel dashboard. And price? Udemy courses are really cheap. Just check out them.